We provide executive and corporate coach hire services delivered with our unique brand of style, reliability and comfort. With more than two decades of local and regional coach hire experience, our company is renowned for exceptional standards of customer service and for running a modern fleet that has a diverse range of vehicles available. Our Mercedes-Benz sprinter coach can carry 19 passengers. This is an excellent coach hire option for smaller groups. The size of this coach is ideal for narrow or hard to reach destinations. Full leather midi coaches provide a luxury coach hire experience and allow our passengers to travel in style. Our midi coaches have 25-29 seats and are particularly suitable for clients in and around London who may need to use us for corporate coach hire, these vehicles are perfect for providing transport between meetings, exhibitions or events. Our hospitality charter gives clients the opportunity to travel in first-class comfort using our somewhat decadent coach fleet. Our beautiful double-decker buses seat 82 people. This executive coach hire option boasts 70 to 91 seats and, subject to advance notice, can accommodate disabled persons and wheelchair users. Trailers can be included with your hire package should your party be carrying large amounts of luggage. Westway Coaches are based in Wimbledon. This convenient location gives us widespread access to all parts of the South East. 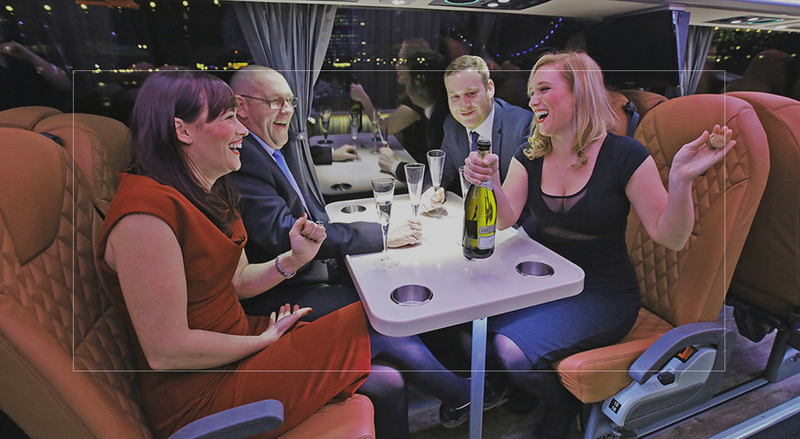 Call Westway Coaches today on 020 8944 1277 to arrange luxury coach hire in London, the South East and the UK. Westway have been providing the Harlequins with their Team Coach for the past couple of seasons and we are extremely happy with the service that they provide. It was important for us to source a company which could offer a reliable, trustworthy and cost effective service whilst ensuring that the coach delivered all of the requirements necessary to transport the “team” onboard a stylish and comfortable vehicle.